Winifred Mahon Sanford (shown above in 1907) was born Winifred Balch Mahon in Duluth on March 16, 1890. Her parents were Henry S. Mahon, an attorney, and Helen (Brooks) Mahon; they were married on October 24, 1888. Henry was born in Ohio and had moved to Duluth from Detroit about 1886 to practice law. Helen was born in Massachusetts and had been living in Michigan with her family. They had a second daughter, Helen, born in Duluth on October 23, 1892. The family resided at 1520 East Third Street in Duluth. Winifred attended Duluth Central High School, graduating in 1907. Future novelist Margaret Culkin Banning was in the same class at Central. Winifred attended Mt. Holyoke College in Massachusetts for a year and then transferred to the University of Michigan, where she graduated with a degree in English in 1913. Following college, she taught high school in Sault Ste. Marie, Michigan, and in Idaho, and worked as a librarian in New York City. Winifred’s father, Henry, died from heart disease, according to the Duluth News Tribune, on June 29, 1908, at the age of 48. Henry was a highly respected attorney and resident, and the next day’s newspaper quoted J. L. Washburn referring to him as “a high minded man, a man of fine legal attainments, a true friend, and the highest type of American private citizen.” A few years later, Winifred’s mother Helen moved to New York City but returned to Duluth often to visit her friends. Winifred married fellow Duluthian Wayland Hall Sanford in 1917, while he was still attending law school at the University of Michigan. 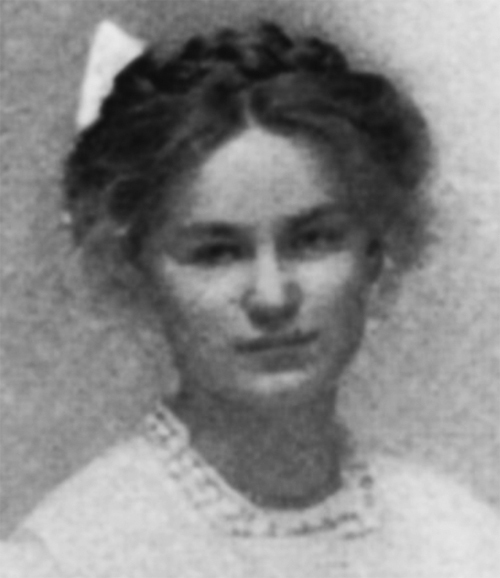 Wayland had been a year behind her at Central, graduating in 1908. Wayland was born in Duluth on January 4, 1891, to Wayland W. Sanford, an attorney, and Helen (Hall) Sanford. They resided at 2432 East First Street. After Winifred’s new husband’s completion of military service and his graduation from law school, the couple returned to Duluth to await the birth of their first child. In the meantime, Wayland was searching for employment in Texas, where he wanted to practice oil and gas law. Their daughter, Emerett, was born in Duluth on January 28, 1920, and about eight months later Winifred followed Wayland to Wichita Falls, Texas, where he was setting up his law practice. A second daughter, Helen, was born there on January 24, 1922. Winifred had been writing fiction for a while, and in 1922 she joined a literary group, The Manuscript Club, in Wichita Falls. The members encouraged each other and critiqued one another’s works. In 1925, Winifred had her short story “Wreck” published in the American Mercury, and this began a long relationship by correspondence between Winifred and H. L. Mencken, editor of that journal, in which he encouraged her writing. Eventually she would publish eight more short stories in the American Mercury, and others in the Woman’s Home Companion, The North American Review, and Household. Winifred’s early stories were set in the area around Lake Superior, but then she began writing about the people and places relating to the oil industry in Texas. In the later 1920s, Winifred worked on a novel and, after several failed attempts to find a publisher, apparently burned the manuscript. The Sanford family moved to Dallas in 1931 where Wayland started a new law practice; their third daughter, Mary, was born there in 1933. Winifred contracted tuberculosis in 1937 and was bedridden for about a year. Although she continued to write in the 1930s, most of her publishing was done between 1925 and 1931. Wayland died on May 3, 1978. Then in 1980, Winifred privately published Windfall and Other Stories, a collection of her short stories. She died on March 24, 1983, at the age of 93. After Winifred’s death, her book Windfall and Other Stories was published by the Southern Methodist University Press, and the book was then widely and positively reviewed in regional newspapers and journals. The recognition led to a film version of Winifred’s short story, “Luck.” The movie, entitled The Stars Fell on Henrietta and released in 1995, was directed by Clint Eastwood and starred Robert Duvall, Aidan Quinn, Frances Fisher, and Brian Dennehy. The script was written by Winifred’s grandson, Philip Railsback.